If you thought you’d left your acne years behind you but are seeing more breakouts than ever, you are not alone. In adults between the ages of 20 and 40, up to 55 percent battle adult acne. Even those who never had acne as a tween or teen can see blemishes once they hit 20 or beyond. While many factors come into play, that old standby acne skincare from your teen years may be aggravating the problem. It’s also not just the time and money spent looking for ways to conquer breakouts that can be taxing. Adult acne has also been linked to lower self esteem. A 2017 study showed that 70 percent of acne patients in their 30s were most bothered by their appearance, over twice that of any other age group. This age group also reported their acne had a greater effect on quality of life. This may surprise you, but one of the most common causes of continued adult acne may be the products you use to get rid of it. 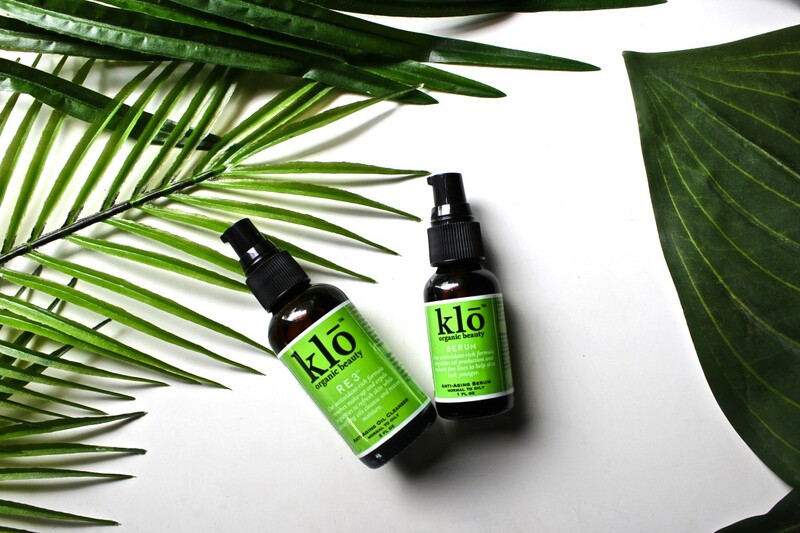 "As an adult who had acne, one thing people don&apos;t realize is how much you think about your face when there is something wrong with it," said Klō Organic Beauty Co-Founder Megan Berube. "When I had acne I was always thinking about what my current pimples looked like. Was my makeup working? Did I look shiny? Were those fluorescent lights going to make me look horrible?" Here at Organic Authority we want the answers too. Which is why we asked Navago Indie Beauty Founders for the deets on what causes adult acne and how it affects those who have it, ways to prevent and treat it, and which natural products are best for keeping skin clear. A kinder, more age-appropriate approach may be just what your skin needs for better behavior. Before we delve into how to address adult acne, let’s cover why you have it in the first place. This may surprise you, but one of the most common causes of continued adult acne may be the products you use to get rid of it. Yes, those conventional acne treatments usually contain some pretty harsh ingredients that are meant to dry the skin. While acne prone skin is often oily, that is not always the case, especially with adult acne. Plus, drying out any skin type with strong ingredients, including extra oily skin, leads to even more breakouts. 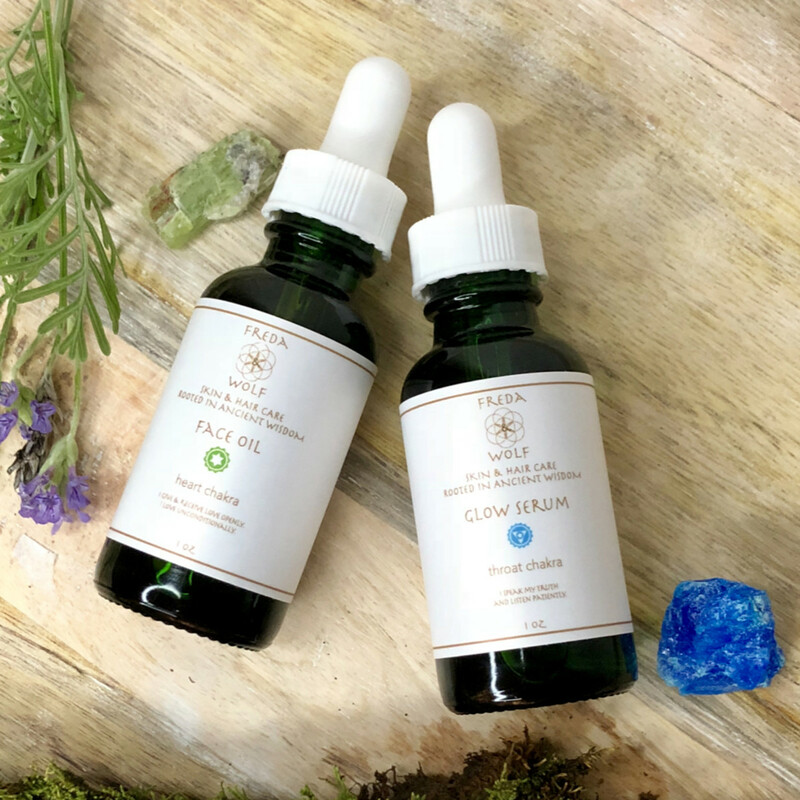 "Effective products should minimize acne, prevent signs of aging, heal and regenerate the skin," said Hilde Schirmer, licensed acupuncturist, Master of Traditional Oriental Medicine, and Founder of Freda & Wolf. When skin is stripped of natural oils, the top layer of skin becomes flaky. The skin begins to produce oil overtime in an effort to moisturize and this flaky layer then traps sebum and oil underneath. Skin needs a certain amount of natural oil and bacteria for balance. Harsh, synthetic ingredients in conventional skincare create an alkaline environment, disrupting the delicate pH balance of healthy skin, and leading to irritation, inflammation, and breakouts. Diet is another trigger for many and since the foods we eat can affect our hormonal balance, the two seem to go hand in hand. It’s important to remember that everyone is different, so something that causes breakouts in your best friend may have no effect on your skin. 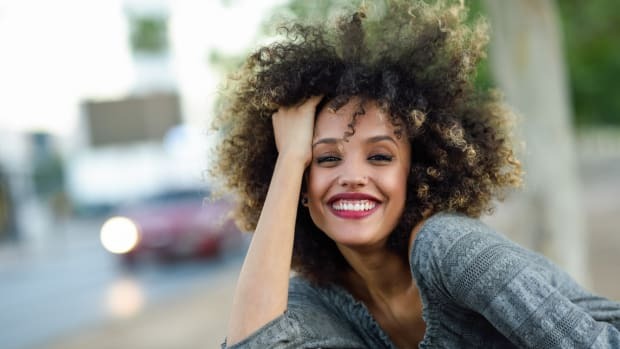 Hilde recommends eliminating the most common skin aggravators from your diet, like sugar, most dairy, processed foods, and fried foods to see if your skin clears. Meat can promote testosterone production, which stimulates oil glands and increases sebum production. Keeping a food journal is a good way to track when blemishes crop up and skin is at its worst. She also suggests starting each day with a glass of lemon water to promote digestion, stimulate elimination, and detox the system, eating at least five fresh fruits and veggies each day, avoiding GMO foods, and drinking plenty of water and tea. Stress reduction is another important factor in keeping the system running smoothly and hormones in check. Getting your beauty sleep and regular exercise are great first steps. Meditation, breathwork, and yoga can help and, as Hilde puts it, “attract the tribe that elevates your vibe." "Good lifestyle habits, such as healthy eating and getting regular sleep, can reduce the likelihood of excessive oil production induced by hormones," added Velvette Co-Founder Joyce Tse. 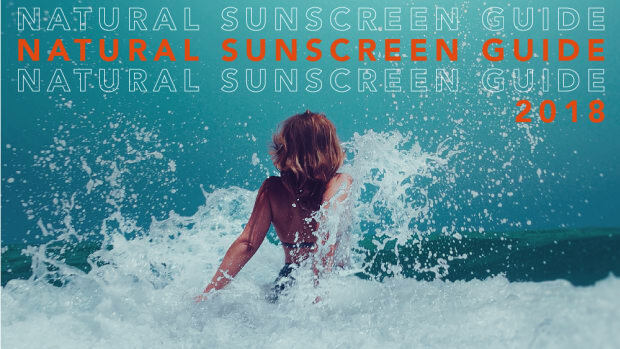 When attempting to cure their acne, most people zero in on products labeled non-comedogenic. Put simply, the term means the product contains no ingredients thought to clog pores. But, it’s not quite as straightforward as it seems. There is a comedogenic rating system for ingredients used widely by cosmetics manufacturers, ranging from 0 (won’t clog pores) to 5 (highly likely to clog pores). But the Food and Drug Administration (FDA) has no requirements for labeling a product “non-comedogenic” and there is no independent U.S. agency that verifies non-comedogenic claims in skincare and makeup. It may seem counterintuitive but using oils that mimic the skin&apos;s natural sebum actually helps moderate sebum production. 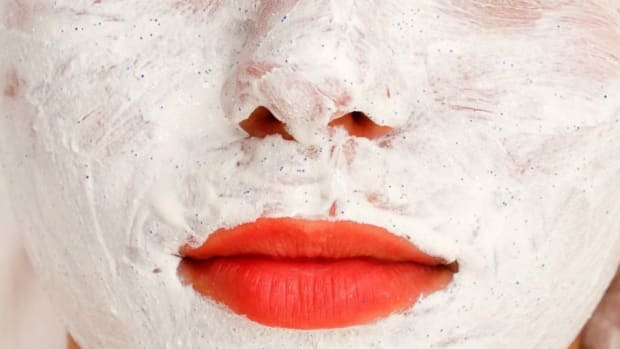 While certain ingredients show a high likelihood of clogging pores (dimethicone, anyone?) even some natural ingredients are comedogenic on certain skin types. For example, many people have good results with coconut oil, while others see clogged pores almost instantly. The bottom line? Don’t take non-comedogenic at face value. Do some experimenting to see which natural ingredients your skin responds to and which seem to clog your pores. The results usually show up pretty quickly. 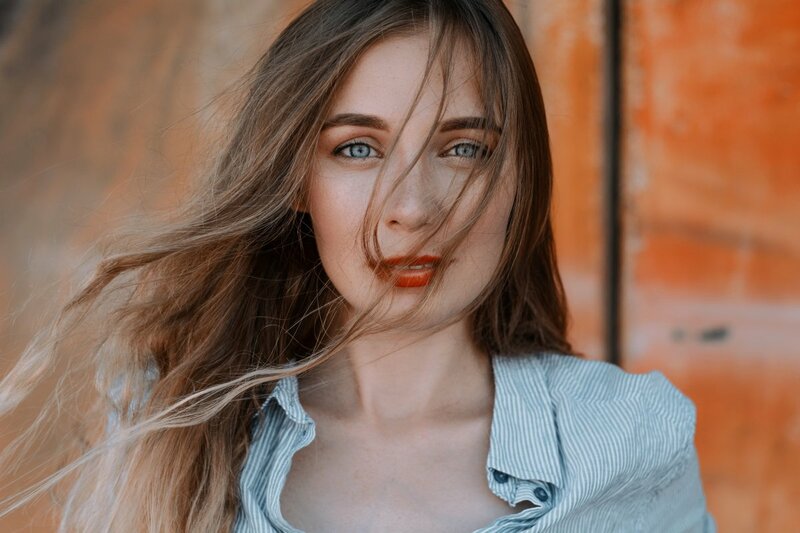 If your acne skin care is not working or making matters worse, check labels and steer clear of these common mainstream ingredients when dealing with adult acne, plus natural alternatives that work. Cleansers and zit zappers: Alcohol, salicylic acid, and benzoyl peroxide show up in most conventional acne cleansers and treatments. They remove excess oil and dry out the skin so while skin might look a bit better initially, they can quickly lead to over-drying and irritation, making acne worse. Instead, look for natural ingredients like witch hazel, aloe vera, tea tree oil, grapefruit essential oil, and lemon essential oil. They are all beneficial in clearing pores, eliminating bacteria, and promoting a clear complexion. Moisturizers and blemish concealers: That mainstream moisturizer may claim to keep zits at bay but probably includes salicylic acid. Most likely it also includes silicones, to make a moisturizer feel light and slippery and in makeup to cover up blemishes and discoloration. Since silicones are comedogenic, opt for botanicals that have a natural balancing effect on oil production, like jojoba or kukui nut oil. “It may seem counterintuitive but using oils that mimic the skin&apos;s natural sebum actually helps moderate sebum production,” said Hilde. Stay away from water-based moisturizers, as they contain biocides that will kill the natural healthy flora of your skin, leading to further irritation and thus worsening the acne condition. "One thing I&apos;ve learned is when my skin would break out if I didn&apos;t attack my face and pick, and if I kept it clean and lightly hydrated, my breakouts would clear up much faster," said Hilde. "Remember, skin needs to breathe. 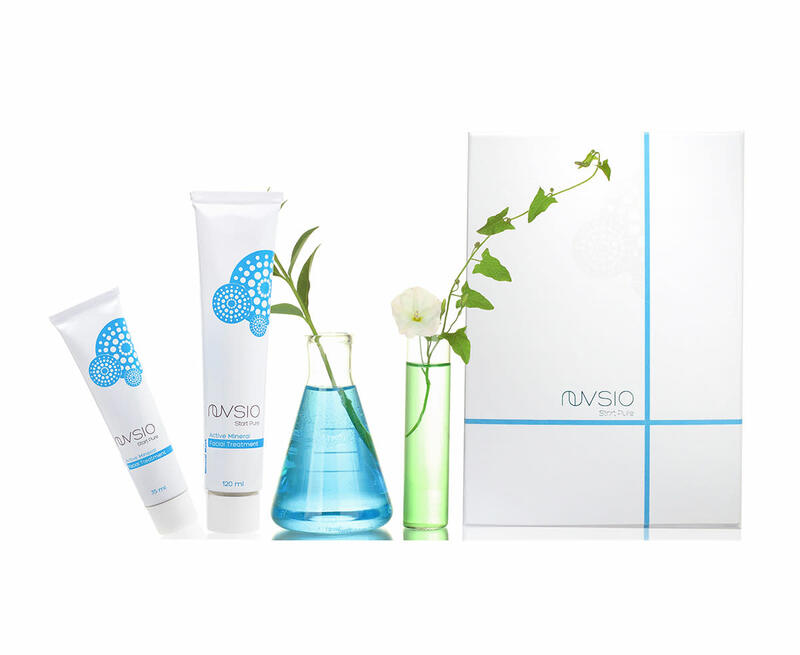 It is the largest organ and according to Chinese Medicine, skin is connected to the lungs." All conventional acne skincare and makeup products: Pretty much all cosmetics made for acne include some synthetic fragrance and preservative ingredients. Synthetic fragrance ingredients are irritating to skin and have links to hormonal disruption. 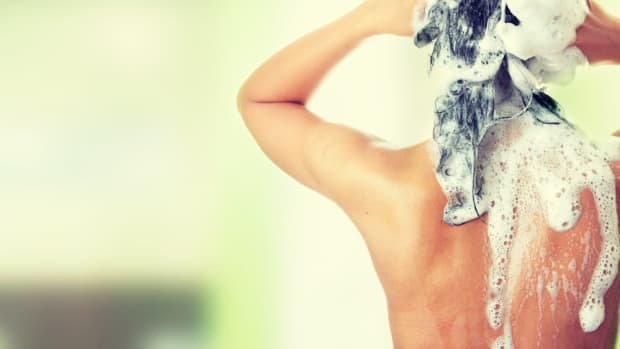 Preservatives like parabens are also associated with hormonal disruption and are best avoided. Many natural products get their scent from essential oils that also hold powerful benefits for skin. Lavender and chamomile soothe, lemon and grapefruit clear, and turmeric and clove are antibacterial. And they all smell divine. Some essential oils are also used as preservatives, along with vitamin E and antioxidants. Now for the good stuff … how to get your skin back on the path to clear, healthy, and radiant. Craft a simple protocol for your own skin type and use it regularly for best results. 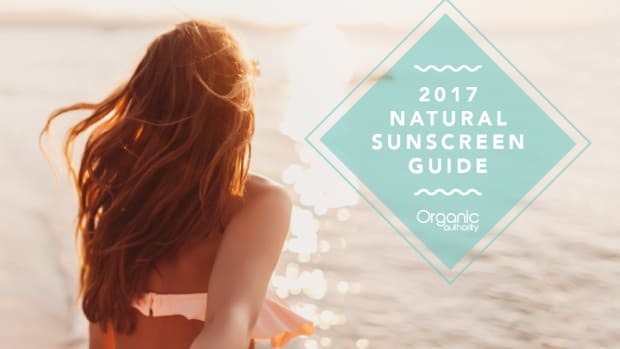 Here are a selection of natural products recommended by the Founders behind the clean, indie brands on Navago, to get you started. Exclusive!All Organic Authority readers receive 15% off their purchase when they shop today. A cleanser, no matter what your skin type, should remove dirt, debris, and makeup gently. Oil cleansing can make a huge difference on acne prone skin, especially for those experiencing inflammation or irritation. The key is to use the right oils. For a lightly foaming cleanse without the harsh surfactants, use Amazonia Skincare Jasmine & Honey Face Cleansing Milk. Made with antibacterial honey to clear and soften the skin, plus natural ingredients to loosen debris and keep pores clear. Tone: Toss out those super strong, irritating, skin parching toners and replace them with soothing, lightly hydrating options. Neroli is antibacterial, anti-inflammatory, and antiseptic, and tones down blemishes while balancing moisture. Apply Bios Apothecary Neroli Flower Water twice daily after cleansing with a cotton pad for a refreshing feeling that softens and supports the skin. Natural plant oils are the skin’s best friend. 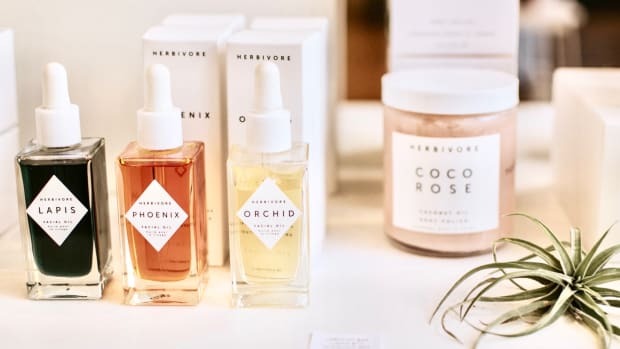 “By introducing facial oils that closely resemble the skin’s sebum into a skincare routine, it may help regulate and normalize the skin’s sebum production,” said Joyce. 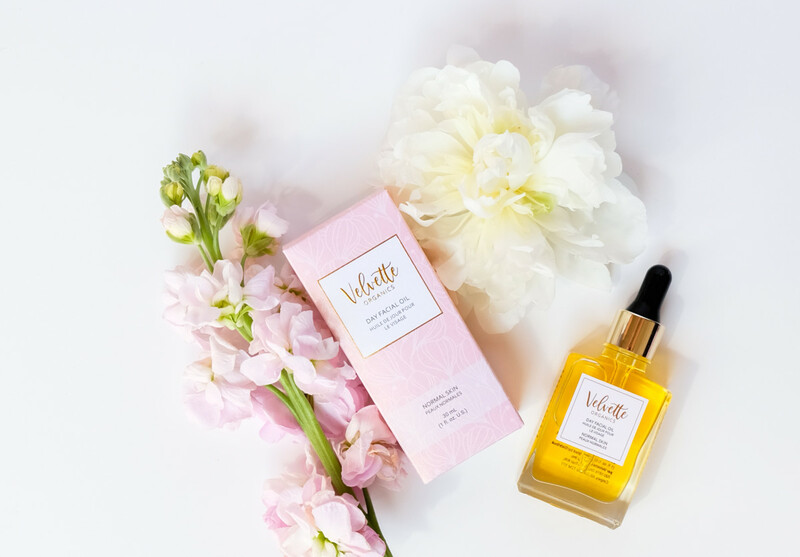 Velvette Organics Normal Skin Day and Night Facial Oils for acne prone skin provide light moisture without being heavy. People with acne often have reduced levels of linoleic acid in their skin, and these oils are rich in linoleic acid to help regulate the skin’s sebum. Rather than using irritating exfoliants or scrubbing, let the ingredients do the work. Try Freda & Wolf Rejuvenating Exfoliating Mud. Natural clays absorb excess oil without drying the skin and slough away dry, dead skin cells that clog pores. Clove and turmeric are used to clear the skin, and sandalwood quells breakouts and brightens the complexion. Makeup: Once you get your new skincare routine underway, you��ll likely have less use for cover-ups. In the meantime, be sure to use makeup that doesn’t contain skin irritants and pore clogging ingredients. Gia Minerals Natural Concealer and Natural Mineral Foundation let skin breathe while providing natural-looking coverage. Spot Treatment: Even balanced skin will see spots pop up from time to time. Thankfully, there is a natural solution to diminishing the appearance of angry blemishes in a hurry. Avarelle Acne Treatment Patch enlists the help of calendula and tea tree to soothe the look of redness and irritation while calming signs of inflammation. Zits are visibly minimized overnight. Simply apply a patch to clean, dry skin and leave on for four to eight hours. You’ll be amazed at the results. Navago is a healthy lifestyles “social marketplace” that connects Indie brands with health-conscious consumers. As a community of passion, Navago is built on trust and transparency, showcasing curated content and products of interest to our users. All Organic Authority readers receive 15% off their purchase when they shop today. This piece of content was produced in collaboration with Navago and contains affiliate links. We love collaborating with like-minded brands that share Organic Authority’s and our readers’ values for clean products that fuel natural beauty and wellness.